Would you like to learn how to cook in the best rated student kitchen in the region? How about getting experience in front of house roles in a People 1st Gold rated restaurant? At The Sheffield College you will learn from the very best in the industry, including award-winning chefs and restaurant managers who have worked at some of the finest restaurants in the country such as Hugh Fearnley-Whittingstall’s River Cottage. We have our own onsite restaurant, The Silver Plate, where you’ll put what you learn into practise during our regular themed nights, tasting menus, gourmet nights (one of which was recently in conjunction with Sheffield’s top restaurant Rafters) and lunches, where you’ll get the opportunity to cook for and serve paying customers – either in the kitchens or front-of-house. Our students are also entered into national competitions as part of their study programme experience and have previously won Young Master Chef of the Year and Young Pastry Chef of the Year. In 2017 a team of our students were crowned UK Young Restaurant Team of the Year which earned them an expenses-paid trip to Modena, Italy, including tours of Alma cookery school, a Parmesan factory, a salami factory, a winery and a meal at three-Michelin-star restaurant, Osteria Francescana. Alternatively you may decide on a career in baking with one of our bakery study programmes. Our bakery department have their own designated kitchen similar to those you’ll find in industry and produce goods for The Silver Plate as well as to sell at our bakery shop. The hospitality industry consists of exciting sectors, including hotels, restaurants, cruise ships, contract catering, coffee shops and pubs. It involves lots of different job roles so you will have every opportunity to find what interests you most and get started on the career you want. You could find yourself working as a chef, waitress, events coordinator or even as a manager. 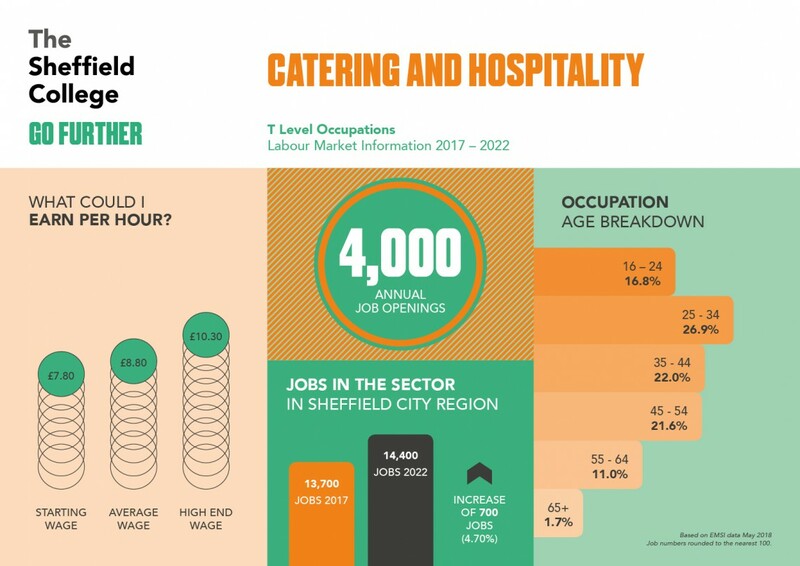 We work with employers of all sizes across Sheffield who help us to shape our curriculum so when you leave us, you’re safe in the knowledge you’ve got the skills and experience today’s employers are looking for. 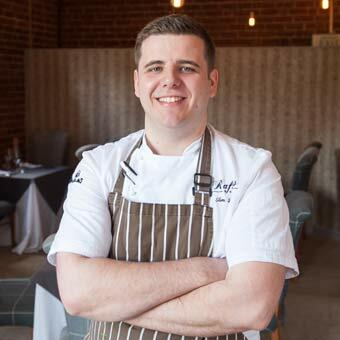 At The Sheffield College you will learn from the very best in the industry, including award-winning chefs and restaurant managers who have worked at some of the finest restaurants in the country such as Hugh Fearnley-Whittingstall’s River Cottage. The shining star of our catering and hospitality offer is our onsite restaurant, The Silver Plate. Serving lunch and dinner to the public throughout term-time, The Silver Plate is the ideal setting to hone your professional skills. Combine this with our 3 other pro-kitchens, a specialist baking and patisserie kitchen and hot-food outlet and you've got the perfect environment to help you go further, no matter what your aspirations are. At The Sheffield College, we know that one of the most appealing things to employers is candidates with experience, that's why we try to give our students as much hands-on experience as possible during their study programme or Apprenticeship. Luckily for our Catering & Hospitality students, first-hand experience is available on campus in our fully operational restaurant, The Silver Plate. Whether you're preparing dishes in the kitchen or serving customers front of house, you'll be gaining invaluable experience of what it's like to work in the industry, something that will set you apart from the rest of the crowd. "The Sheffield College really push you to enter competitions and gain work experience which is great for building confidence and growing as a Chef." Check out available apprenticeship courses!